Deep in the Wailing Mountains, in a valley beneath the Ruined City, the ancient Order of the Oyo has for centuries practiced its rites of holy reverie, communing with the spirit realm in grand festivals of drink. Born to a mother's flesh by a Celestial father, the youth known as Mangix was the first to grow up with the talents of both lineages. He trained with the greatest aesthetes of the Order, eventually earning, through diligent drunkenness, the right to challenge for the title of Brewmaster-that appellation most honored among the contemplative malt-brewing sect. Pandaren Brewmaster is a nuker-initiator hero that is needed to make a chaos in a teamfight with his 3-self. 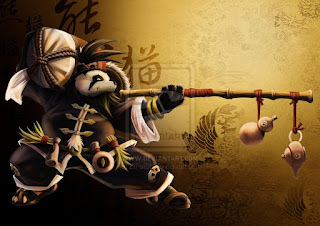 He can turns into 3 pandas wit a great power, all his 3 pandas have it's own unique ability, 1 stun, a fire dps, and a cyclone, this makes your team have so many opportunities in the teamfight. Not just it, his normal-form is also a strong being, with a mighty critical strike, a nuke, and a skill to slow down and make enemy to miss his attack. Brewmaster, a Kung Fu master that will knock down all the enemies. This is your main nuke, you need this to slam enemies, damaging them, and slow down them. This skill is a nice initiating skill for you. You may need a Blink Dagger to pisition yourself in the middle of enemies and then cast this skill, and then you should cast the Split skill after that. note: can also helps you to farm creeps faster. Gives you a critical chance and also increase the dodge chance. Makes your normal form (not split form) can become a semi-carry for the team, The critical strike will be good for the late game because it helps you deal damages from a physical attack, and also the dodge chance will really helps you to survive in a teamfight/ gank. Split yourself into 3 pandas with unique abilities. 3. A wind panda that have a cyclone do disable a single enemy for a long time. Can be use on a teamfight to eliminate 1 out of 5 enemy. Why maxed Thunder Clap first? This is your main nuke, you will need this for ganking, farming, and killing on early mid game. Why maxed Drunken Haze before Drunken Brawler? You need the Drunken Haze more than the Drunkern Brawler because it will give a miss chance to a hero and it will be so good to cast on enemy's carry right before the teamfight, it will reduce enemy's power by a lot. On early game, you need some farm to collect golds for your core items, it will be an Arcane Boots, a Blink Dagger, and an Aghanim Scepter. Keep calm in the farming phase, try to last hits everything, while denying once in a while. Or you can use the Thunder Clap to helps you farm to lasthits 2-4 creeps in a blow. And remember to use the Drunken Haze to make enemy miss his last hits, it will be good for the team, it gives gold advantages to the team. Keep calm and follow that step. You should do the click correctly, you can make it if you already used to it. While not ganking, you should farming. You can farm on the lane or in the jungle. Late game is the time for the decisive teamfight. Concentration should be at the max level here. Focus is the key to success. And your part for the team is to initiate the teamfight. If you already have a Blink Dagger, use it to initiate the teamfight, and after that, you can follow the simple steps in the Mid Game section. And if you have a clickable items on your pocket, you should use it on the teamfight, liek if you have the Refresher Orb, you should use it and Recast the Primal Split so you will have a sooo long duration of the Primal Split. Why Arcane Boots? With Arcana Boots, you can fill the mana for your skills. Not just that, you can also fulfill the mana for other member on your team. Why Aghanim's Scepter? Maes your Split Form become stronger. It will benefit your team by a lot. Why Shiva's? Shiva's Guard, Very good in teamfights, gives:Active: Arctic Blast - Emits a freezing wave that does 200 damage to enemies and slows enemy's movement by -40% for 4.0 seconds. Jakiro have the all AoE spells that will bring a disaster to the AoE, and you have to combo your damage with him to make a mightyful damage for the enemy in the AoE. His wall of Replica will turn your trio pandas into enemy's illusion that will destroy your team forces. She have a nice ultimate that deals tons of damage, beware!! Have the all AoE spells. Be careful! 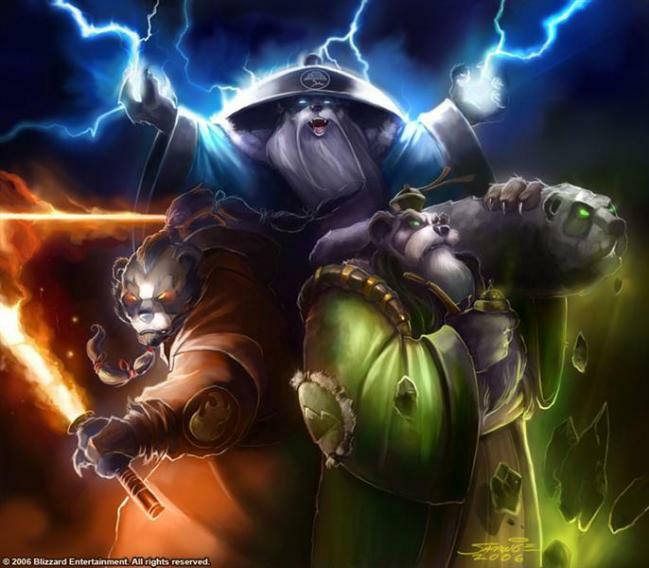 His ultimate become useless vs. your trio Pandas. Her refraction is a piece of cake for your trio Pandas. Herself is squishy, your trio pandas can easily knock her down. And her underlings is all weak, you can destroy them with your Thuner clap, or with your Fire Panda.